It appears that northern Muslims evicted from their homes and lands within 24 hours to suffer in extreme misery in refugee camps seems to be receiving some rays of hope after 25 years. This is what one could gather from numerous calls by leading Tamil and Sinhalese politicians, ministers, academics , human rights organizations, journalists and many others including former LTTE leader to undo the damage done to Northern Muslims and improve Muslim Tamil relations. For example criticizing the Tamil community for keeping silence the Tamil National Alliance,TNA, Member of Parliament, M.A.Sumanthiran said that” he does not approve the Tamil peoples’ silence over the Muslim people’s evacuation from the North which was nothing but ethnic cleansing. He said“the international community will not accept that ethnic cleansing is in progress against us until we accept that we are also responsible for ethnic cleansing”. He questioned whether it is fair for them to neglect the Muslim community in Sri Lanka and request the international community to help ensure the rights of Tamil community. Saturday 31 Aug. witnessed the gathering of a few hundred persons at Trimmer Hall at 3:30 PM. The event was chaired by Ahilan Kadirgamar for The Forum for Tamil Muslim Relations. Proclaimed the banner on the stage, “Forum for Tamil Muslim Relations – Justice, Equality, Relations,” drawing our attention to the need for concerted efforts at justice for the displaced Muslims, and help to resettle them. Senior Lecturer Dr. Ms. S. Krishnakumar of the University of Jaffna read out a statement by the Women’s Forum on Tamil Muslim Relations which will go into a book. Kadirgamar and other speakers lamented how the return of the displaced refugees to their original homes had been abysmally slow. Tamil attempts and assertions to declare Muslims who are Tamil speaking as Tamils like the Tamil-speaking Hindus and Christians who comfortably call themselves Tamil, are wrong. It is for Muslims to say who they are and choose what to call themselves. When the Muslims of the North were asked to vacate within 48 hours leaving behind their homes and all their hard earned savings and property, it was indeed ethnic cleansing. It is self-serving rhetoric to shout for the army to vacate the lands they occupy and make way for displaced Tamils to return, when we ourselves will not lift a finger to help Muslim refugees return to their homes in Jaffna. We Tamils cry about genocide over what happened in 2009, but so long as we Tamils deny that what was done to Muslims was ethnic cleansing by us, no one will listen to us. Justice and the right to assurance of non-recurrence for Tamils must go hand in hand with the same for Muslims. That far greater attention than given now, is needed to settle the problems of the refugees once and for all was clear from things said and unsaid at the meeting. The evening showed on the positive side that much needs to be done as seen from the fact that only one TNA MP was present and no Chief Minister or provincial minister. The presence of former Chief Minister A. Varadaraja Perumal was a pleasant exception. Many, who should have come and thrown their weight behind the problems faced by Muslims if they really cared, instead sent excuses to be read out. Worse, in the city of Jaffna where there are hardly any Muslims after the evil visited on them on 30 Oct., 1990, there were more Muslims than Tamils present at the function. The Jaffna Muslims are therefore indeed still alone and Tamils need urgently to do something about it. The evening ended with a short, moving skit by Red Face Performing Group highlighting how returnees are sent from pillar to post as they seek to register themselves and claim what is only theirs. As the country attempts to move towards reconciliation and a political solution, the Friday Forum calls for reflection about this tragic eviction. This is not merely about condemning the LTTE’s ruthless dispossession of an entire community. Rather, it serves as a crucial reminder of the deep divisions within our society that need to be recognized and addressed. Injustice against any community requires all of us to reflect and together find solutions. Despite the war having ended over six years ago, in places like Jaffna the Muslims are in limbo, and their resettlement has for the most part been a failure. Of the close to 8,000 families that originate from Jaffna Town over 2,000 families registered for resettlement soon after the end of the war. However, only about six hundred families now remain in Jaffna, and that amidst tremendous social and economic problems. The loss of their original land and houses, most of which were destroyed, has complicated the resettlement of the Muslim community, and many are on the verge of giving up on their resettlement and returning to the camps in Puttalam. There still seems to be little acknowledgement of their economic and infrastructure needs. They lack housing, land, jobs and even decent schooling for their children. When resettlement fails and families move between Puttalam and their places of return in Jaffna, the children’s education is a major casualty. In the Muslim quarter of Jaffna town, where a section of Muslims still live in camp-like conditions, problems of water, drainage and flooding during the monsoon rains add to their travails. The Northern Muslim community needs resources, but with the process of return it also has to rebuild relations with neighboring communities. Rebuilding Tamil-Muslim relations is a priority to ensure successful resettlement as well as for future coexistence. The Tamil community in the North, in particular, should reflect on the suffering endured by the Northern Muslims and extend their support to the Muslim community. Moreover, as the Government prepares to initiate the long overdue process of reconciliation and a political solution, it needs to realize that such processes are inextricably linked to rebuilding relations between communities. The Friday Forum believes that addressing the problems of the Northern Muslim community is an essential and urgent part of working towards meaningful reconciliation throughout our country. At this historic juncture, when Sri Lanka is grappling with its past and creating a constitutional framework for true peace, this tragic episode in our history, and the anguish that persists to this day, needs to be remembered and addressed. The history and suffering of Sri Lanka’s Northern Muslims is a microcosm of our post-Independence history. They had peacefully lived, farmed and traded with their Tamil brethren for centuries. The bonds between the communities were close. Therefore, the LTTE’s sudden order came as a surprise to many. It was a crime that shocked the conscience of the entire country. The story is of course many-sided. Numerous Tamils wept when their Muslim neighbors left, hiding valuables on their behalf and helping them in what little way they could. But as a whole, the majority community, failed to stand in solidarity and protect the rights of the minority community in their midst. The challenge for us today is to learn from our past failures, remedy mistakes and move forward. This is a rare opportunity we cannot miss. But it will not be an easy or a pleasant process: we will have to look critically at our own faults and strive hard to hear the voices of others. It will require courage and commitment. But I am confident it can be done. Meanwhile well known Sinhala journalist Victor Ivan called for the need to compensate the Muslim victims while Karuna Amman, former LTTE in the east, accused LTTE leader Prabhakaran and some close to him of being responsible for this crime and urged the need to resettle evicted Muslims. This is the first time that such widespread support was expressed to resettle these unfortunate Muslim who were almost abandoned by Muslim politicians. There is no problem with the Muslims and Tamils in the North, only the spying for the government during the LTTE fight that caused the expulsion. There is nothing in the North like the BBS movement for hatred towards Muslims in the South. East is somewhat different though, where Muslims were aggressive towards Tamils. at this rate you will for ever be like Palestine Tamil in Palestine. you are unable to think outside of village well but whatever the villager did effected the whole island- all wells. You got western flight with colombo 83 where the muslim looted. singapore LKY: nothing exist as whole and parts in their natural context. Confession and repentence is a part of Christian tradition. This is why it was successful in bringing reconciliation in South africa as both victims (Blacks) and perpetrators (whites) were both Christians. This type of mentality may be in a few Hindus and Buddhists, but hardly in the vocabulary of Muslims. Still Turkey a muslim country refuses to apologise for murder and ethnic cleansing of one million Armenians. To expect Muslims in Srilanka to do it is far fetched. In Srilanka, it is not only LTTE who had committed ethnic cleansing, but Srilnkan state and it’s armed forces, Sinhala and Muslim civilians are also gulity of the same crime, much worse numerically. After every riots in Srilanka, ethnic cleansing of Tamils took place. In 1984, Tamils in 36 villages in Manal Aru region were given 48 hours to vacate and their lands were given to Sinhala settlers from outside the area and the place is now renamed Weli Oya.It is recorded that several Tamil villages in eastern province have been ethnically cleansed by Muslim homeguards acting in collusion with Security forces, and their lands have been appropriated by muslims including destruction of Hindu Temples and construction of Mosques on those lands. Deportation of one million Indian Tamils under Srima-Shastri pact, indirect exodus of 90% of Burgers due to Language policy and forced eveiction ot Tamils to foreign countries under the guise of a war with LTTE, could also be termed as a form of ethnic cleansing. What should happen to bring back harmony, is that every community must acknowledge that they have committed ethnic cleansing and are prepared to correct this injustice, even to the extent of evicting the wrong doers, which is politically sensitive. Until now, only the Tamils have acknowledged the crime and are prepared to correct it, while some Sinhalese have done it, none of the Muslims have so far acknowledged ethnic cleansing carried out by some members of their community or about correcting this injustice. Government will never get involved with this process as it will be politically suicidal to restore justice as it will completely reverse the actions carried out by all previous government to convert all areas in Srilanka into a Sinhala majority zones. Security forces plan to settle Sinhalese in the lands that they have appropriated which explains why they are refusing to hand them back to the legitimate owners citing security concerns. Define the expelling of Northern Muslims by LTTE a WAR CRIME. If falls under the internationally accepted definition of a War Crime. Diego Garcia eviction is not a war crime or a crime that is being looked at by UK. It was planned like the muslim looting of colombo in 83. Given the opportunity Muslims are like Genghis Khan the mongrel- loot boot toot pirates. Sinhalaese love Arson because they are devils- Yakkos. The Biggest threat Muslims Face is Wahhabism and its clones such as ISIS funded by Saudi Arabia, Wahhabis-tan. The threat from cast conscious double standards Tamils is minor. They Follow Ivlis, Satan and emerged from Najd, and there is Hadith That Warned about these devils. Yes it is because the politicians and the medias want to shift the focus from Tamils and the UN resolution !! That’s is what Muslim politicians have taken this once settled (when tigers apologised to the public n their so called leaders ) Muslims evacuation from Jaffna taken in their hands after nine years of end of the war!! Do you mean the Devil, Iblis, Satan Following version generally known as Wahhabis and their clones, such as ISIS, Taliban, Salafis, Tawheed, Boko Haram etc.? A number of authors have claimed that the hadith refers to Muhammad ibn Abd al-Wahhab, the patronym of the Wahhabi movement. It is accounted that the origin of Muhammad ibn Abd al-Wahhab is from the modern day Najd region of Saudi Arabia, which happens to be the only surviving region that carried on the title of ‘Najd’ after the geographical codification regardless that there were several distinct locations known previously as ‘Najd’. This theory is generally supported by adherents to other various sects in Sunni Islam  as well as Twelver Shi’ism that have disdain for Wahhabism. This is often speculated to be due to the revival of prophetic traditions, strictly clinging to hadith and negating what was seen at the time to be bid‘ah or ‘heretical innovations’, instigated by Ibn Abd al-Wahhab and later carried on by his followers. Contrary to the accusations there are numerical hadith that discredit this argument due to praise of the ethnic tribe of Muhammad ibn Abd al-Wahhab, being the Bani Tameem tribe, and praise for the region of what is now known as Najd and its peoples. Through anthropological records it is accounted that the Bani Tamim are the majority of people inhabiting the land of modern day ‘Najd’ in present day Saudi Arabia. Hon. Mr. M.A. Sumanthiran’s response to ethnic cleansing in general reflects the injustice that prevents in building trust and confidence among communities to unite for a robust economic development of the country. Any meaningful consensus comes out of the atmosphere of mutual respect. We find equality with others by recognising that there are many ways of looking at any situation and we have only one of them. Listening to others, respecting their ideas and experiences, helps to open us to a wider spectrum of reality. It enables us to open up the doors of our conceptual prison and see things from a new perspective. If Muslims were not driven out of Jaffna, they would have been armed by the state to go after the Tamils like what happened in the East with the Muslim home-guards. In the hindsight, what happened to the Muslims in the North was wrong but was necessary precaution that avoided a major war between the LTTE and the Muslims. Think out of box don’t fall in crusaders trap.Give that land vacated by muslims to sinhalase and score brownie points than cow down to the thieves looters of 83.
muslims canny crusaders from its birth. what is happening today in the world is the over 1000 year crusade of Christians and Muslims from the same stone so they are lovers in a way and use each other. Muslims take refuge in infidel land and enjoy infidel freedom and practice polygamy. !947 Christian Truman and Churchill took away a large chunk of Hindu land for muslims calling it Pakistan West and East Bangala. Christian west created Bosnia. What have the christians or muslims created for the hindus and buddhist?? I know Tamils in the Diaspora who came down after Nanthikadal,repossessed their properties and sold them for a thumping price. Why can’t the Muslims do the same?. I mean not to sell , but take possession. Don’t they have the titles?. or did Piraparan take the titles before chasing them.?. Are you part of the whispering campaign group that discourages selling properties to Muslims, in some cases poor Sinhalese were intimidated into selling their properties to Sinhala/Buddhists? Its been going on for years. Many Muslims have returned to Mannar and some to Jaffna. Come and take a look. I believe that in Jaffna there has been no or very little support for them while in Mannar a certain minister has arranged help. Very interested to know about the wholesale genocide perpetrated against Hindus by Mogul invaders and occupiers of India over centuries of war. I recall the Sikhs were the first proud warriors to rise up against Muslim invaders and that before that millions of Hindus were slaughtered by Mogul invaders. Indonesia and borobudur were HINDU sites destroyed by Muslim conquerers who forced people to convert and like Catholic Portuguese and Spanish slaughtered millions. No Sikh’s were brave but theirs was more of a faith and in defense of being beheaded by muslims they formed a mens and womens army. They did not match the Kshatriya (warrior of central india)- accepted by the Brits as the only martial force that could kill them. The Marathas are the Hindu warrior group from the western Deccan Plateau (present day Maharashtra) that rose to prominence by establishing a Hindavi Swarajya. According to the Encyclopædia Britannica, “The Maratha group of castes is a largely rural class of peasant cultivators, landowners, and soldiers. The Marathas became prominent in the 17th century under the leadership of Shivaji who revolted against the Adil Shahi dynasty and the Mughal Empire and carved out a rebel territory with Raigad as his capital. Known for their mobility, the Marathas were able to consolidate their territory during the Mughal–Maratha Wars and later controlled a large part of India. Chhattrapati Shahu, a grandson of Shivaji, was released by the Mughals after the death of Emperor Aurangzeb. Following a brief struggle with his aunt Tarabai, Shahu became ruler. During this period, he appointed a Chitpavan Brahmin, Balaji Vishwanath, and later, his descendants, as the peshwas or prime ministers of the empire. Balaji and his descendants played a stellar role in expansion of maratha rule. The empire at its peak stretched from Tamil Nadu in the south, to Peshawar (modern-day Khyber Pakhtunkhwa [a] in the north, and Bengal and Andaman Islands in the east. In 1761, the Maratha army lost the Third Battle of Panipat to Ahmad Shah Durrani of the Afghan Durrani Empire which halted their imperial expansion in northwestern India. Ten years after Panipat, the young peshwa Madhavrao I’s Maratha Resurrection reinstated Maratha authority over North India. It is sad to see some Tamils promoting the myth that Muslims were chased out because they spied for the Army. Believing the propaganda of the LTTE, based on its paranoid culture, which guided it to kill hundreds of innocent civilians and thousands of carders from other organisations, many still carrying out the same arguments in these columns. They do this without any conscience for their role in sending thousand of improvised children from Vanni on a suicidal path. More than Prabaharan, many who justified and supported its actions are those who has blood in their hands. It was not few individual LTTE cadres or mobs from Tamil community chased the Muslims from the North, but the LTTE leadership ordered them to leave in 24 hours. At last A. Sumanthiran came out and called the spade a spade. We need to welcome that. But Tamil Leadership had to do a lot of soul searching if not people like Fr. Emmanuel, who even wrote a poem about Prabaharan and justified all the killings and massacres of LTTE until recent time, will play the role of peace maker and continue to keep the Tamils to rely on victim hood mentality with out taking any responsibility towards their action which will continue to keep ethnic issue intractable and Sinhalese nationalist will keep their role entrenched. 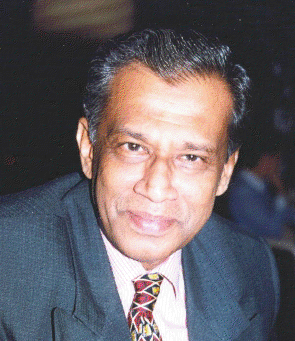 Where was Abraham Sumanthiran when Muslims were asked to leave Jaffna ? Why didn’t he raise his voice at that time or thereafter. What made him to do it now? Who is behind him? Middle East or Srilankan government? Why didn’t he Condemn the expulsion of Tamils in the eastern province by Muslims and the deportation of upcountry Tamils by the govt.? Abraham Sumanthiran had a meeting recently in Colombo with Sampanthan Mavai and Siththarthan where he demanded that Wickneswaran be removed from Federal Party. Once he is removed he will leave his chief ministers post and this will clear the path for Abraham to climb to the top and do whatever he wants. Sampanthan is too old and there is no other person in FP who has legal knowledge and command in English language like Abraham. So Abraham will be the sole proprietor of FP and he could buy and sell as he wish. Let the foreign investors take note of it please. Removal of Wickneswaran will serve another purpose. Everyone knows Wickneswaran is an ardent Hindu and his removal will pave way for Abraham to appoint a Christian in his place. Hoole may fill in. Who knows? Anyone reading Lankaweb articles will see how Tamils’ struggle has been directed and engineered by Christians, which i did not believe at the beginning but now made to believe. Remember when SJV died Bishop of Jaffna opposed Amirthalingam’ s appointment and insisted that SJV’s son Chandrahasan be appointed as leader of FP. Foreign diplomats meet Bishop of Jaffna and not Hindu Nallai Atheenam whenever they visit Jaffna. Why ? Hindus are so ignorant passive dormant and apologetic and if anyone hurl filth at them they would simply walk away as if nothing happened. Is this the reason for others to trample Hindus? 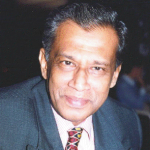 Now that the Tamil political detainees are not released and the deadline passed, will Abraham Sumanthiran go and meet the detainees at magazine prison on his return from Australia, and face the consequences? Where were you when Muslims were forced to leave, robbed of all their valuables, cash and property, chased out virtually empty handed, within two hours of giving order. I wonder whether you remember 18/19 May 2009, the day LTTE lies were finally exposed. Therefore please stop lying. Probably Sumanthiran is planning to climb Mt Everest. Justice Wigneshwaran is a reluctant politician and is 76 years young. What could Sumanthiran do without the support of his party? I see a Tamil version of Nuisance. Sumanthiran left Jaffna when he was 5 years old and only returned now. Most other Northern Tamil politicians (MPs, Provincial Councillors, former MPs) were in Jaffna and didn’t say a word against the LTTE about expelling the Muslims, forced recruitment of minors and other war crimes. Some of them even participated. Leave the stupid muslims alone as if nothing happened. They are a foreign force to asia. 1983 many homes at colombo were looted by the muslims- who is talking about it now?? Leave the stupid looters to die soon at the hands of infidel. Leave the muslims and give that land to sinhalese for a piece of peace.